Although the Hope Baptist Church is one of the largest venues in Hebden Bridge, yesterday evening it was packed full for the Hebden Bridge Hustings. 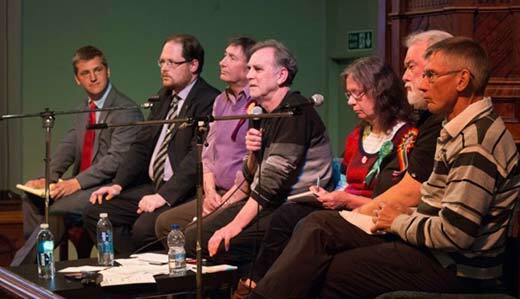 Six of the seven general election candidates for the Calder Valley constituency were present to answer questions from around 230 local voters. 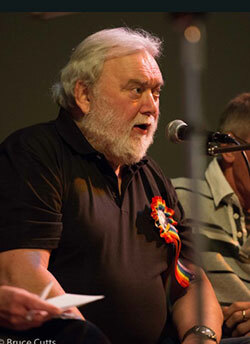 The event had been organised at relatively short notice by the HebWeb, working with Sara Robinson and Dave Boardman. Unfortunately, the one candidate who couldn't make it due to a prior engagement was Conservative candidate, Craig Whittaker. Six of the seven general election candidates standing in the Calder Valley constituency accepted our invitation to take part. Pictured above, from left to right, they are Josh Fenton-Glynn, Labour; Alisdair Calder McGregor, Lib-Dem; Paul Rogan, UKIP; Jenny Shepherd, Green; Joe Stead, World Peace Through Song and Rod Sutcliffe, Yorkshire First. In the centre is Dave Boardman who chaired the meeting with authority, fairness and humour. The candidates' responses to audience questions were mostly interesting, engaging and knowledgeable. So much so that the audience was extremely attentive and well-behaved. 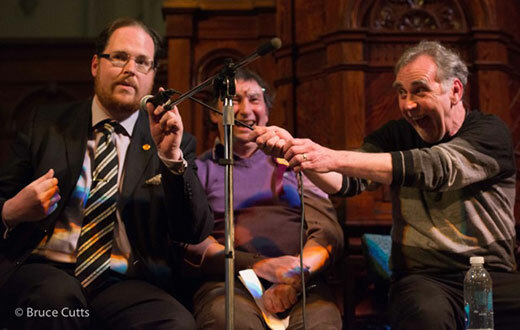 The evening had regular moments of humour - above, Chair Dave Boardman sought to reclaim the mike from a very keen candidate. Below is a rough summary of what was said. It is by no means a full and comprehensive account of everything which was discussed but may give a taste of the debate and questions. The first question, asked by Anne Handley, was an opportunity for the candidates to introduce themselves to the audience: Can each candidate please explain - as briefly as possible - the core principle that most clearly defines their party? What do they believe in most; what is it that is shared by their members but not by the other parties? Rod Sutcliffe spoke of integrity in politics, Jenny Shepherd spoke of the interconnectedness of everything and putting neighbours before anything else. Paul Rogan explained that there was one thing which separated his party from all the others and that was a desire for independence from Europe. For Alisdair McGregor, the key idea which summed up the Liberal Democratic party was empowering the individual. Josh Fenton-Glynn explained that the Labour party was for the many not the few. Jenny Shepherd, Green and Josh Fenton-Glynn, Labour. Question 2 from Elizabeth King: What will your party do to avoid 2°C average global temperature rise? Jenny Shepherd argued that it was important we don't go above a rise of 2% in temperature but it was quite likely that we were already going to approach the key figure of 2%. We need to strengthen the Climate Change Act and seek effective international agreement on climate change. Joe Stead hoped we haven't left it too late but admitted he wasn't really equipped to answer the question properly. Rod Sutcliffe said that Yorkshire should be an energy hub and agreed with the need to push for international agreements. Alisdair McGregor said there should be no more investment in fossil fuels, we need no fracking in the UK and we need a new generation of nuclear power stations. Paul Rogen wanted more education and encouragement for citizens to save power in their own homes. Josh Fenton-Glynn thought it was important that this was the first question, and supported the idea of carbon free electricity production by the year 2030. He also wanted more International agreement and stressed the importance of the upcoming Paris conference. In response to the candidates' answers, a contributor from the floor emphasised that nuclear power was not carbon neutral. There then followed discussion about the Transatlantic Trade and Investment Partnership (TTIP) a series of trade negotiations "being carried out mostly in secret between the EU and US". Question 3 from Scott Crawford: Is there any candidate planning to create any jobs in the Calder Valley? 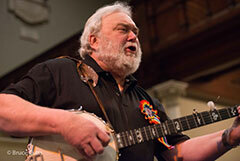 Joe Stead told the audience that he needs new members for his folk group. Paul Rogan said that he had spent his working life in textiles. As soon as we are out of the EU, he would be able to employ many more people in the Calder Valley. UKIP would cancel HS2 and use the money for local transport. 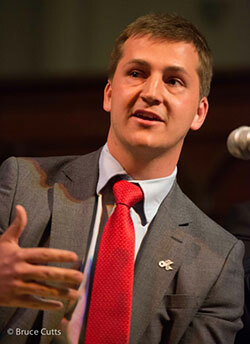 Josh Fenton-Glynn would fight for better transport and a new generation of apprenticeships. Alisdair McGregor pointed out that many people living in the area actually commute to the surrounding cities So it wasn't just jobs in the Calder Valley which are needed. The Liberal Democrats were committed to not taxing those on the minimum wage. Rod Sutcliffe said we need to create a prosperous Yorkshire with improved connectivity. We need better education so people have the skills for the future. Jenny Shepherd told the audience at the Green party has plans for 1 million climate jobs. Many of these could be in the Calder Valley. She also wanted Calderdale Council to tighten it procurement policies so that local companies were used far more often. A speaker from the floor said that the minimum wage should be enough so that people working didn't need to claim benefits. This was a subsidy to employers. From the floor, Jason Elliott disagreed with people always having to commute to the bigger cities, and not being able to work locally.. He pointed out that if you add commuting time to the working day, that makes it 10 to 11 hours. Question 4 from Geoff Tansey: What do the candidates think of Voteswap.org - which offers Labour and Green voters who wish to avoid a Tory-led government the chance to swap votes so that the Green's share of the vote is registered nationally but people may vote Labour where the Greens will not win the seat and vice versa where they stand a chance? But Voteswap do suggest Labour voters vote Green in Brighton to ensure Caroline Lucas is re-elected. Jenny Shepherd was not in favour and doesn't recommend people using the vote swapping system. We need an elected second chamber. Josh Fenton-Glynn said that people must do what their conscience tells them. His conscience would never let him vote in a way which would allow Craig Whittaker to get back in again. He wasn't 100% sold on a proportional representation but excepted we need a broader conversation about voting and elections. Joe Stead said that he was standing as a candidate because he didn't know who else to vote for. If the Greens were to get a good leader he may well vote for them. Jenny Shepherd responded that she was happy with Natalie Bennett as leader. Under Natalie Bennett's leadership, membership of the Green party had grown considerably. Paul Rogan said we need proportional representation. Vote swapping is just another name for tactical voting. Rod Sutcliffe wants regional government with a local and fair voting system. Alisdair McGregor agreed that we need Parliament for Yorkshire. Chair Dave Boardman asked for a show of hands from the audience. Overwhelmingly, the audience backed proportional representation. Question 5 was from Neti Blackwell: Do you think the 2015 NHS Reinstatement Bill should be included in the Queen's Speech and, if elected, will you vote for it to be passed into law? Rod Sutcliffe said there was no place for privatisation in the NHS. Privatisation does not improve quality or reduce risk. Instead, it destroys the ethos of care. Under privatisation, medical staff and care workers are working for someone else's profit. Joe Stead is absolutely against privatisation. We need more hospitals and nurses. Jenny Shepherd wants to see the NHS Reinstatement Bill, which is supported by medical professionals, in the Queens speech. She also wishes to see their centralisation of PFI debts. Alisdair McGregor said that the Liberal Democrats are committed to having all Health care free at the point of use. However, he felt that the private sector had a place offering some of the smaller services we need in the health service. The Coalition Government had got rid of 4000 bureaucrats from the NHS. Josh Fenton-Glynn said that he was staggered at the position that the NHS has got to. Medical practitioners are far too overworked. Privatisation has not been helpful. A speaker from the floor who had worked for 37 years in the NHS said she was a great supporter of their NHS Reinstatement Bill. Question 6 was from Ralph Nimmann: Are there any points where you disagree with your party to the extent that you would vote against what your leader might ask you to do? Or are you 100% loyal? Joe Stead said that he disagrees with himself all the time. 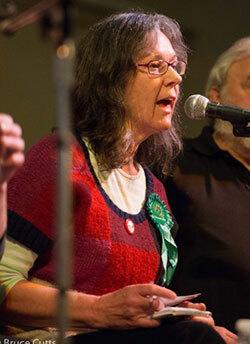 Jenny Shepherd pointed out that members of the Green party were allowed to vote according to their conscience. Josh Fenton-Glynn said that, whatever his party decided, he would definitely vote against the renewal of Trident. Paul Rogan admitted that UKIP were a bunch of amateurs and mavericks anyway. Question 7 was from Kathy: The decision on whether to replace the Trident nuclear weapons system, at a cost of £100billion, has to be made by Parliament in 2016. Would you argue for a free vote on this moral and ethical issue? Also, regardless of the type of vote it is, would you pledge to vote against replacing Trident? Alisdair McGregor said that Trident was out-dated and no longer necessary. However, we need an independent nuclear weapon as a bargaining system in order to bring about multilateral disarmament. Paul Rogan guessed not many people in the audience will have read the UKIP manifesto. It is UKIP policy to renew Trident. Rod Sutcliffe wouldn't replace Trident. He doesn't believe that Trident is actually a deterrent. Who would actually press the button? Joe Stead was also against Trident. "In the 1950s we marched against the bomb. It didn't do any good. Now we are in World War Three." Applause followed his assertion that Tony Blair should be tried as a war criminal. 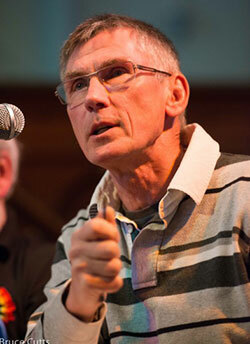 From the floor, Paul Clark said that he had worked on Trident in Barrow and was totally against its renewal. However, jobs would need to be found for Trident workers. Jenny Shepherd responded with what she called a swords into ploughshares solution saying that the Trident workers could be employed in building offshore windfarms. From the floor, Geoff Tansey said the argument had to be about weapons as a whole. We are one of the biggest arms producers in the world. Question 8 was Michael Prior: Can the candidates give their views on the further cuts to council budgets and to welfare payments pledged by the current government and supported in some measure by the LibDems and Labour? Will they pledge to oppose any such cuts put forward by any future government? Alisdair McGregor said that centralisation of council budgets is very much part of the problem. Josh Fenton-Glynn pointed out that the largest benefit was housing benefit which in fact is really a landlord benefit. Labour would scrap the bedroom tax and build 200,000 houses a year as well as controlling rents. Paul Rogan said UKIP was happy to see more cuts in local Authority spending. Rod Sutcliffe said the austerity program was totally unnecessary. Austerity deepens recession. The thing to do is to spend on infrastructure. But in the Calder Valley we have no control over things. We need regional power. Jenny Shepherd said the Green Party would increase council budgets and introduce a Robin Hood tax. Question 9 was from Chris Ratcliffe: Would candidates encourage their leaders to do an interview with Russell Brand? Hell yes, said Josh Fenton-Glynn. Alisdair McGregor said 'No' because he absolutely disagreed with Russell Brand on voting. Alisdair McGregor says everyone should vote. Paul Rogan said everyone here knows UKIP are fruitcakes. So yes. The evening ended with a song from the World Peace through Song candidate, Joe Stead. The HebWeb organised the evening with excellent help from Sara Robinson and Dave Boardman. Thanks to the Hope Baptist Church for providing the venue, stage, teas, coffees and amplification. Thanks too to Mike Barret for designing the poster, Jason Elliott for producing the publicity video and to Julie C and Rosa for putting up posters. And the candidates and all others who helped make the evening a success. 9. Adam Thompson: What would the candidates do to reduce the number of food banks as I find this shocking that there are so many in 2015. 10. Paul Forrest: This December will see the most important political gathering for many years take place in Paris. Why, at the end of a five year term of the 'Greenest Government ever', is climate change barely mentioned in this election campaign? 11 Maura Wilson: How do the candidates propose to deal with the crisis in social care? 12 Matthew Helbert: The next government will need to plan what, if any, replacement should be developed for the Trident nuclear weapon system. Do you think we should spend £100 billion replacing Trident - and how will you persuade the government of your views? 13 Adam Thompson: I think that the tax on cigarettes should be increased to pay more towards the NHS ? What are the candidates views? 14 Nina Smith: If elected, will you do all in your power and use our influence to ensure that a long-term view is taken, especially regarding policies to ensure that man-made climate change is halted within a decade, and that our precious planet's ecological health and diversity is maintained. 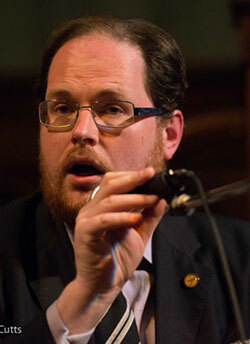 15 Adam Thompson: At the Todmorden hustings I was very impressed with how knowledgeable the candidates are . I know I could not be a candidate as I feel I am not thick skinned enough to withstand the "toughness" needed to be a candidate. How do candidates respond to criticism in person , in the press and on social media? 16. Mrs Rosemary Hedges: I believe that the NHS Reinstatement Bill 2015 is the only way forward for the NHS, to return it to public ownership, improve funding and make it for patients not profits. Please will the candidates state if they will be voting for this bill should they be elected, and if not why not. 18 Geoff Tansey: Do the candidates think it is time to change the first past the post system and introduce a system of proportional representation that would mean Parliament more clearly represented the views the British people 18. 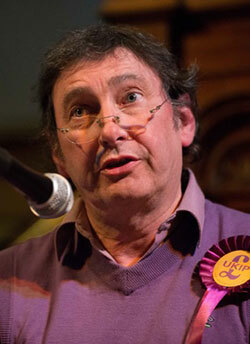 Alan South: If elected, would you support a free vote on whether or not to renew the UK's nuclear missile system? 19. Jim Wilson: Do you have any plans to change the copyright laws? 21. Jason Elliott: As the general election is almost certain to result in no party gaining an absolute majority of seats, would the candidates tell us which other parties they would like to work with, and give us their opinion, as we seem to be entering an era of collaborative policy making, as to whether or not we should acknowledge this by changing the electoral system to proportional representation. 22. David Leslie: We have all heard the Conservatives say how well they have managed the economy. Do the candidates agree that negligible growth over 5 years , an overseas payments deficit at 6% of national income and declining productivity demonstrate a very poor out turn. 23. David Leslie: Both Prime Minister and Chancellor have been reprimanded some 50-60 times for seriously misleading use of statistics. Will all candidates present promise to avoid such mistakes and be honest with us instead. 24. Susan Galliehall: To all, if you were Dr Who's assistant with the whole of time and space to choose from which moment in your party's decision making process over the last 15 years would you go back and change and why? 25. Jennifer Wilson: What are the candidates personal views on an assisted dying bill. Would they support the bill and what measures should be considered. HebWeb Election Section for latest news, over 100 contributions to election discussion, answers from the candidates to HebWeb questions and more.